DETROIT -- A history of Ford could be told with the succession of marketing slogans it has used over the decades -- some remembered within the company as rallying cries, some more as punch lines. Now, six years into a comeback from near collapse, the automaker has a new slogan that underscores confidence that its recovery is almost complete: "Go Further." For an automaker with 166,000 workers worldwide and a history of riding boom into bust, the slogan is intended in part as a warning against complacency after three years of profits, executives say. "Go Further" will be used in marketing campaigns, replacing "Drive One" in North America and "Feel the Difference" in Europe. Those slogans were coined to help overcome wariness on the part of consumers about the quality and performance of Ford cars as the car maker bounced back. "We are at a different point now in our company's history," Jim Farley, global head of sales and marketing, told Reuters. Ford is not the only automaker that has relied heavily on a catchy slogan. Rival Chrysler, now under the control of Fiat, has played up both sides of its heritage with the year-old "Imported from Detroit." At General Motors Co., former CEO Ed Whitacre was amazed in 2009 that the automaker did not have a slogan that reflected a mission statement, so he supplied one: "Design, build and sell the world's best vehicles." But Ford, founded in 1903, has a particularly long history of using slogans meant to resonate both inside its glass-walled headquarters and outside with customers. Its sloganeering goes back at least as far as 1914's "Ford: The Universal Car." For the past five years, CEO Alan Mulally, 66, has driven Ford's turnaround under the global slogan "One Ford." The motto underscored the need to unify the automaker's operations and put an end to executive infighting. 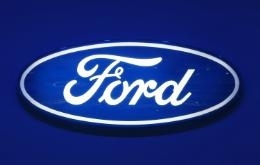 In the latest evidence that the plan worked, Ford is due to report its 11th consecutive quarterly net profit on Friday. In December, the automaker announced it would begin paying a dividend for the first time since 2006, after moving within a notch of regaining an investment grade credit rating. Farley insists the new slogan is not a replacement for "One Ford," which he said is a motto that reflects the automaker's core global strategy. And although Ford plans to use "Go Further" to market new vehicles around the world this year, the phrase is also meant to motivate its employees. "We really see it as kind of documenting the culture or the DNA of the company," he said. Farley said Ford looked at the success of "Just Do It" for Nike and "I'm Lovin' It" at McDonald's in crafting its new slogan. One expert said that, while Ford's slogan would resonate for employees who know what the company has been through in recent years, it would not deliver the same kind of message to outsiders. "I don't think it's that good. It's a little too inside the industry," said Jim Wangers, a marketing analyst in Oceanside, Calif. In the late 1960s, Ford tried to rally baby boomers around the slogan, "Ford has a better idea," using the image of a lightbulb to signal inspiration instead of the "o" in Ford. In the 1980s, when Ford was scrambling to counter inroads into the U.S. market by Japanese rivals led by Toyota Motor Corp., the automaker rolled out the slogan, "Quality is Job 1." In early 2006, Ford dubbed a wrenching restructuring, "The Way Forward." The plan involved closing 14 plants and cutting more than 25,000 jobs. Some workers joked at the time that it looked more like a giant step backward. When Mulally arrived later that year, he tapped into the company's history of sloganeering with "One Ford." Mulally even insisted that all workers be issued laminated cards with the turnaround motto: "One Ford, One Team, One Plan, One Goal." Mulally introduced the "Go Further" slogan to Ford's employees around the world in a New Year's message. The slogan is already being used in advertisements and on Facebook for Ford in Europe. It will be introduced in markets from India to North America later this year. Justin Wartell, head of brand strategy for Interbrand of Dayton, Ohio, said the challenge for Ford will be to make the slogan concrete in a way that makes sense to consumers. "Any automaker can use that," Wartell said of the new slogan. "What makes it Ford? What makes it stand out?" Elena Ford, Ford's global director of marketing and the great-great granddaughter of founder Henry Ford, said the new slogan was essentially a reminder to employees that they had to set the bar higher after recent gains. Her way of describing that could itself be turned into a slogan. She said: "We go further so you can."